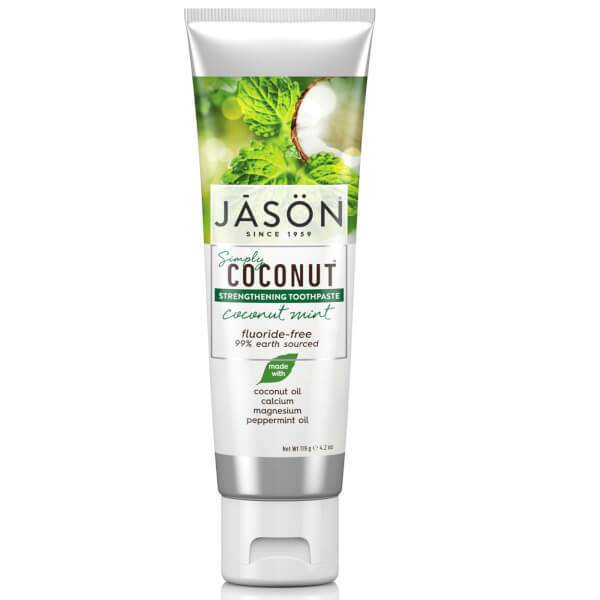 Energise your smile with JASON Strengthening Coconut Mint Toothpaste, a fluoride-free formula that uses nourishing Virgin Coconut Oil. A powerful combination of Magnesium, Calcium and Peppermint Oil helps to strengthen the teeth and gums, freshen the breath and leave your smile shiny and sparkling. 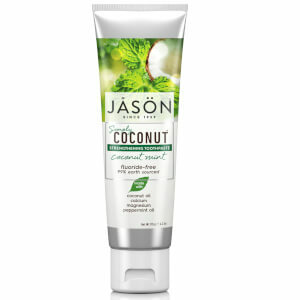 Free from gluten, alcohol, fluoride, parabens, phthalates, artificial colours and sweeteners. 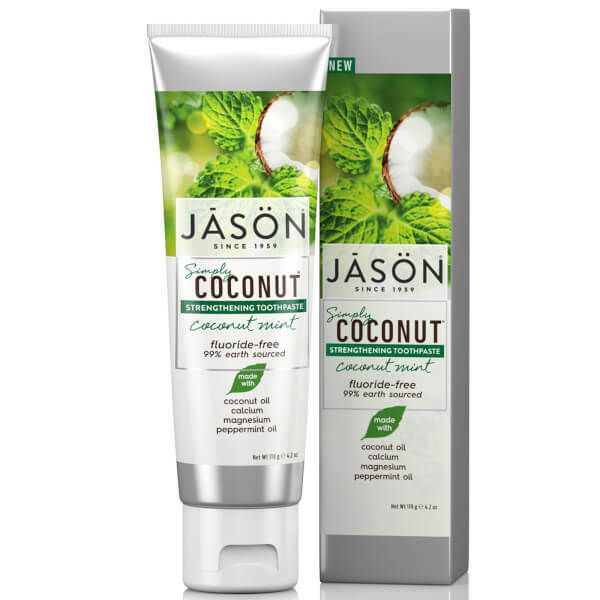 Glycerin, Aloe Barbadensis Leaf Juice, Calcium Carbonate, Sodium Cocoyl Glutamate, Aqua (Water), Cocos Nucifera (Coconut) Oil, Mentha Piperita (Peppermint) Oil, Magnesium Oxide, Bambusa Arundinacea Stem Powder, Cellulose Gum, Sodium Bicarbonate, Natural Flavour.